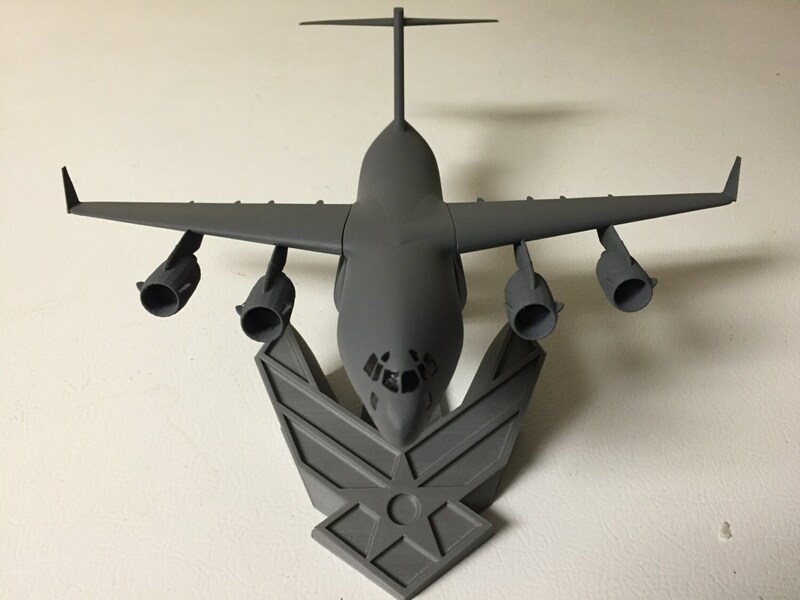 This is a model I designed with help from "Oranhunter" for display inspired by the C17 Globemaster III Transport Aircraft. It has a 12 inch wingspan and is 6 inches tall when sitting on it's stand. The wings feature 4 fairings, and 4 engines. The front doors, naca ducts, and rear door are recessed into the model for added detail. There are intricate fins on the engines and rear of the aircraft just like the real thing. Boeing, which merged with McDonnell Douglas in the 1990s, continued to manufacture C-17s for export customers following the end of deliveries to the U.S. Air Force. 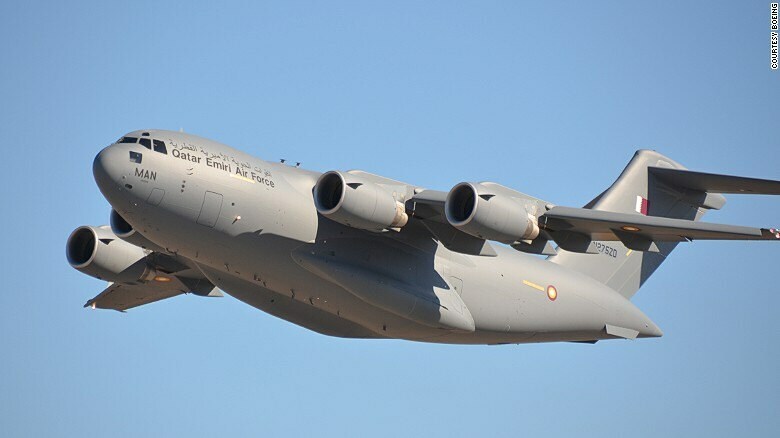 Aside from the United States, the C-17 is in service with the United Kingdom, Australia, Canada, Qatar, United Arab Emirates, NATO Heavy Airlift Wing, India, and Kuwait. 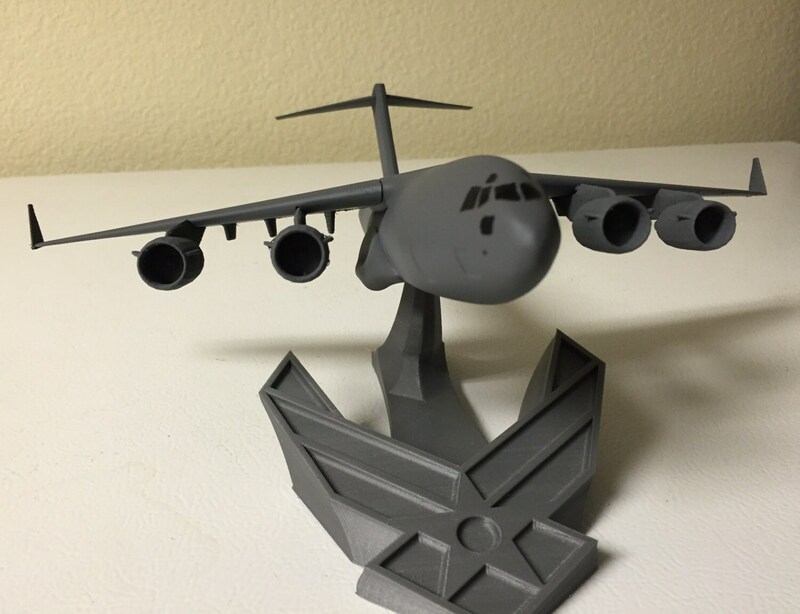 The final C-17 was completed at the Long Beach, California, plant and flown on 29 November 2015. 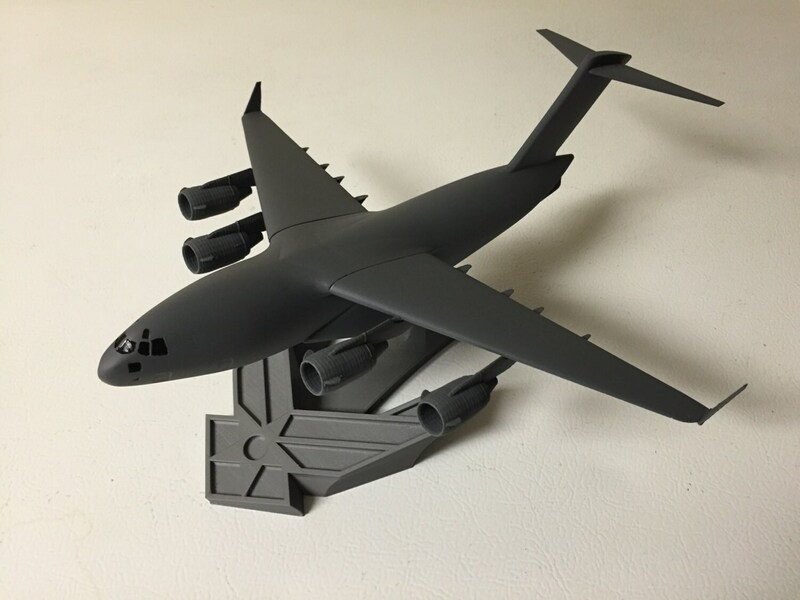 The wings are detachable, as is the C17 itself from the stand, to make for easier shipping and transport. This is an excellent conversation piece for your desk or cabinet. It's also a perfect going-away present for someone moving on to another assignment, or just a really neat gift for a trash hauler fan. I can make custom placards or add text to the plaque to personalize the item; please use the "request custom order" button and I'll get to work! This specific model is printed, hand fitted and assembled, then hand-sanded, painted, and then wet-sanded prior to the finish coat. These take me a while to make, so I'll need a week to turn it out. I can paint the windows black as seen in the picture if you'd like. 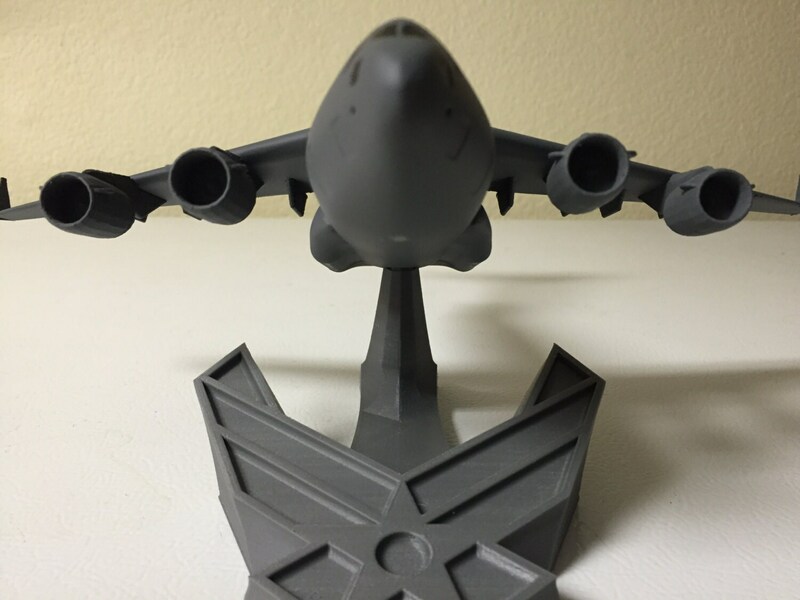 Please note, this creation is a work of fan art and is in no way affiliated with Boeing Inc.